For online purchasers, follow the instructions that match the delivery method you chose for your tickets. If you did, your tickets were attached to your email confirmation in a PDF attachment called "tickets.pdf". If you do not see this email, type "tickets.pdf" in the email application's "search" field to see if that locates the email. You should have downloaded your tickets upon order completion. First, let’s find out if the system thinks you actually printed your tickets. 1Login to your account by clicking here and entering your User Name and Password. This will open a new browser window. 2Select "My Account" after you have successfully logged in. 3Click on "Order History" in the left sidebar and then click the order number link. 4You will see a “DOWNLOAD TICKETS” link. Click this to print your tickets. You can download the tickets only one time. Please save or print the ticket immediately after downloading them. What if the system is saying I have downloaded my tickets but I have not? Don't Worry! You can reprint your tickets! 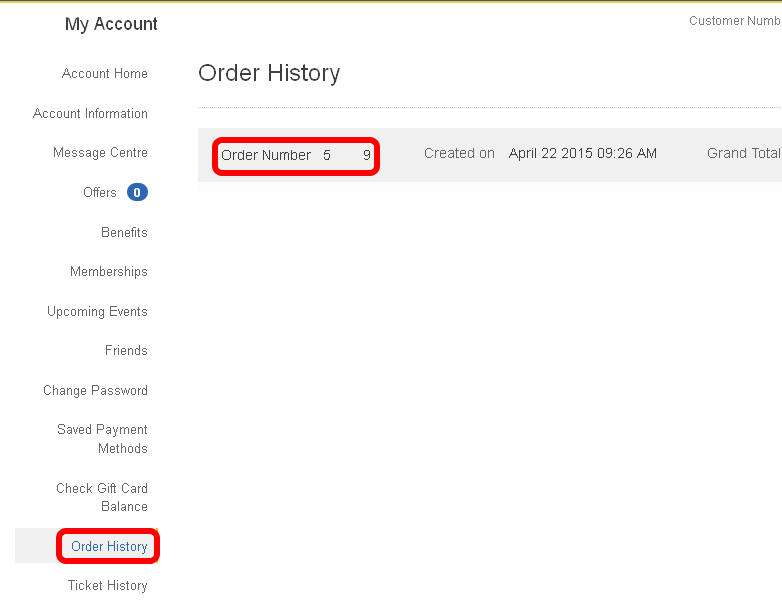 1Click again on "MY ACCOUNT", and then "ORDER HISTORY". 3From here you can identify the email address that you want to receive the reprinted tickets. Please note that the email will come from SunFest@completeticketsolutions.com and the attached file will be a pdf file called "tickets.pdf". Only these new reprinted tickets will be valid for entry and any previous issued or printed tickets will not be valid. 1Call us at 800-SUNFEST and a representative will send your tickets right away. will promptly send you your tickets. Please be sure to reference your order number so we can assist you as easily as possible. Also, note that only the new tickets being emailed will be valid for entry. When we resend your tickets, the sender will be SunFest@completeticketsolutions.com. Your tickets will be a PDF attachment called "tickets.pdf". You will need to open this file using Adobe Acrobat reader. 1What if I did not receive my tickets via email? The sender of the tickets would have been CTS Event Tickets <orders@completeticketsolutions.com> with a PDF attachment called "tickets.pdf". 2You may also want to check all spam and junk folders. These types of attachments get filtered into those folders from time to time. 3Try typing "tickets.pdf" into your Email application's search window and see if it locates the original email. We will need to resend you your tickets via email. You have two options to solve this. Option 1 Call us at 800-SUNFEST and a representative will send your tickets right away. A representative will send you your tickets generally within 3 hours at any time of the day, and guaranteed not to be more than 24 hours. When we resend your tickets, the sender will be SunFest <SunFest@completeticketsolutions.com>. If you need any additional assistance, please call us at 800-SUNFEST and a representative will be happy to assist you.